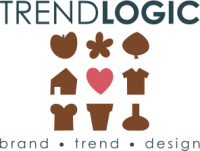 TREND EVENTS « Trendlogic bv. Sandra Könings has over thirty years of experience and success with trend predictions. She shows connections through different kind of sectors and provides trends within specific frameworks. Often heard by visitors: ‘down to earth and inspiring’ and ‘concrete and creative’. TRENDLOGIC is the most realistic, pragmatic consumer oriented trend analyst agency. All professionals in design and retail are welcome. Are you curious about the future? Want to know all about consumer seduction? Whether you’re a buyer, designer, marketer or strategist, these readings give entrepreneurs guidance in making commercial decisions. The fields of fashion, food, horticulture and home & living are covered. But there is so much more to see. It’s typical for TRENDLOGIC, to go beyond were everybody goes. 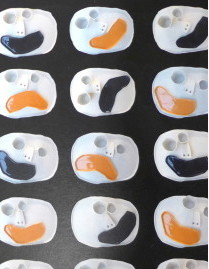 Insights are shown from all over the world, from art expositions, graduation shows and retail developments. At this moment Trendlogic is occupied with many projects. It depends on the development of these projects if and when the next trend event will take place. As soon as we know, we will inform loyal clients and mail all people who are interested in this information. From that moment these links can be used. HOME & LIVING SEMINAR or HORTICULTURE SEMINAR. 2019 date to be determined.